HaiNan Brisight Science & Technology Co., Ltd.
Brisight is a general geographical solution provider, including spatial information acquisition technology development, equipment integration, 3D data acquisition and applications and smart city solutions. Beijing Brisight Technology Co., Ltd. working together with LiDARUSA has been devoted to solutions of rapidly obtaining spatial information since its establishment. 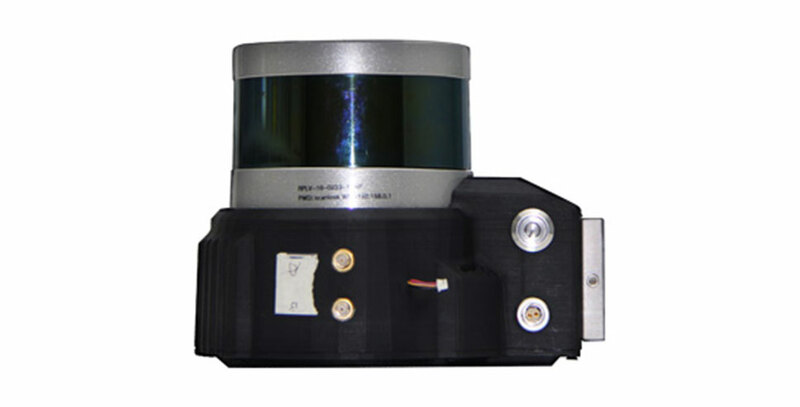 They successfully developed and promoted Brisight-ScanLook series of Ultra-light portable LiDAR systems since 2011. The goal of theirs is to offer a right Mobile LiDAR system to fulfill the customer’s demand and cost limit. 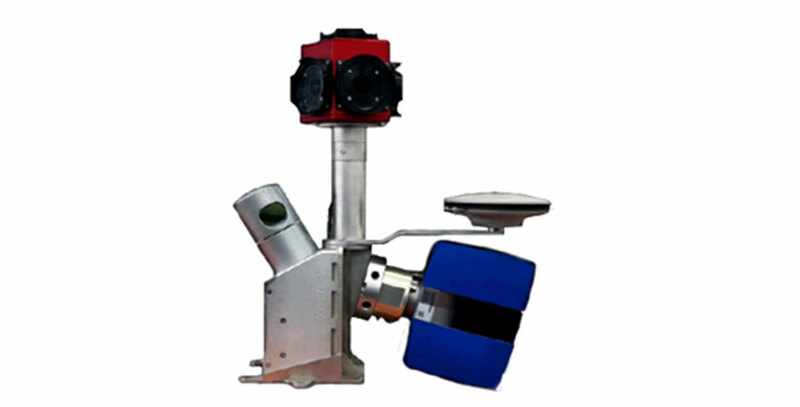 Since the first day of the business, they started to offer customized systems with various mobile laser scanners, POS and panorama cameras to satisfy different requirements of changeable applications. Now they can integrate most common laser scanners in the market, including Velodyne, Quanergy, FARO, Z+F, RIEGL and HESAI. HaiNan Brisight Science & Technology Co., Ltd., a subsidiary of Beijing Brisight Technology Co., Ltd., was established in accordance with the 13th Five –Year Plan for Economic and Social Development of the People’s Republic of China. 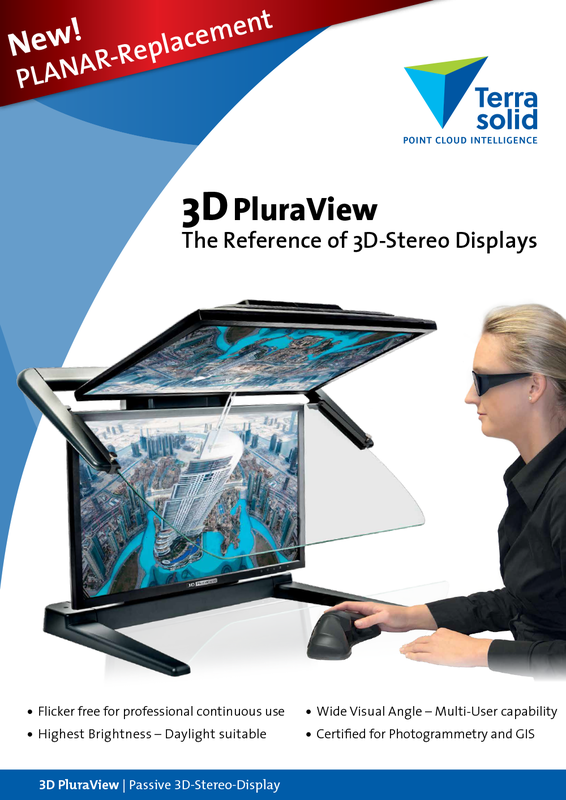 The company is dedicated to the research, development and integration of spatial information acquisition technology system, and the acquisition and industry application of 3D spatial data. It also provides comprehensive solutions to Smart Island. Mapping area located in one side of the road, most items in the area are mud and sludge. Yangtze river traverses the area, and there are plants all over shoreside. Mapping area is about length: 0.4km, wide:0.35km, ScanLook V scan range (1m-120m), set the UAV flight altitude 60m. Distance between routes is about 100m. 3+1 total 4 routes. The plane precision of point cloud is 5cm, vertical precision is 3m. The 3D model based on the data can fully show the entire building. Not only for spatial-property querying, browsing, but also the every corresponding parts is measurable. Based on high-accuracy 3D scene, it can realize roaming and browsing in the park for rapid investigation on park property. Make statistics about the quantity of basic facilities, plants varieties and heights and 3D coordinates. 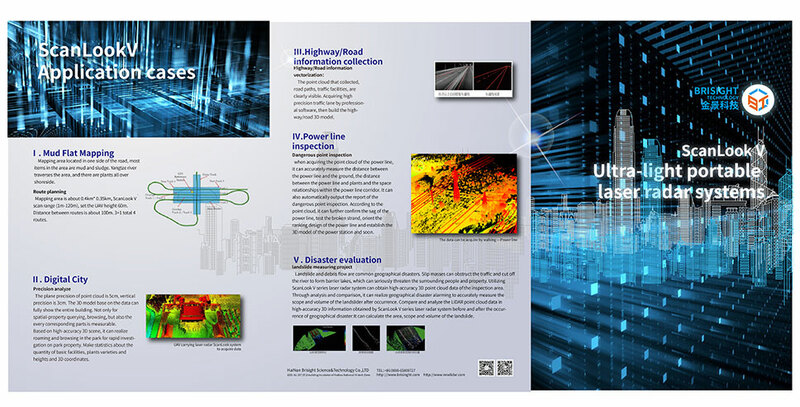 Fast-driving vehicles obtains road point cloud data; the point cloud intensity information can clearly identify the road signs and marked lines; using professional software can automatically extract road lines, curbstone lines, DEM and transversal line to build road three-dimensional model fast. When acquiring the point cloud of the power line, it can accurately measure the distance between the power line and the ground, the distance between the power line and plants and the space relationships within the power line corridor. 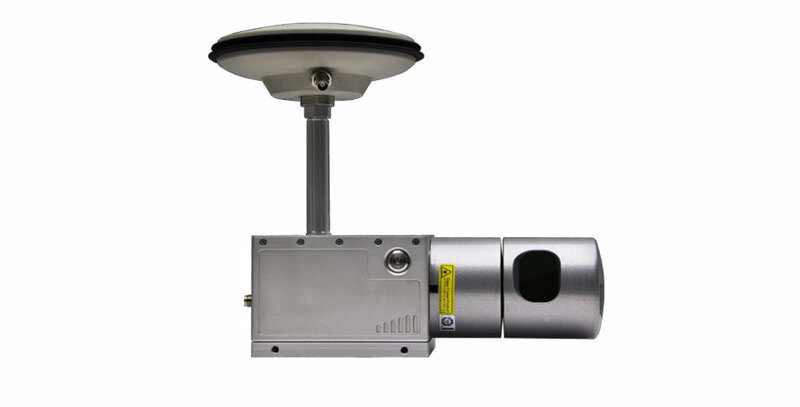 It can also automatically output the report of the dangerous point inspection. 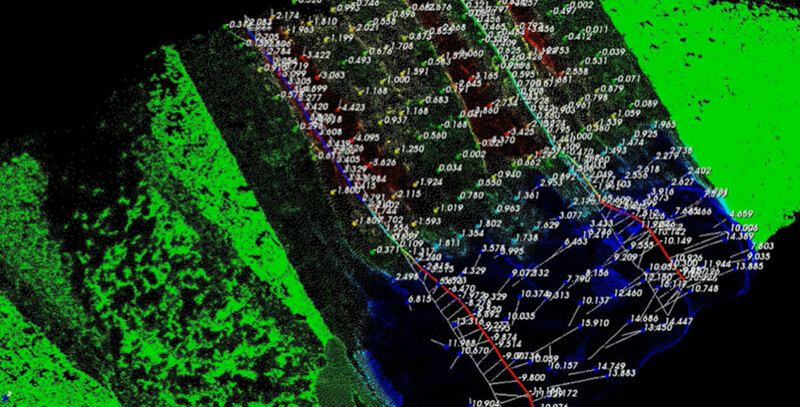 According to the point cloud, it can further confirm the sag of the power line, test the broken strand, orient the ranking design of the power line and establish the 3D model of the power station and so on. Landslide and debris flow are common geographical disasters. Slip masses can obstruct the traffic and cut off the river to form barrier lakes, which can seriously threaten the surrounding people and property. 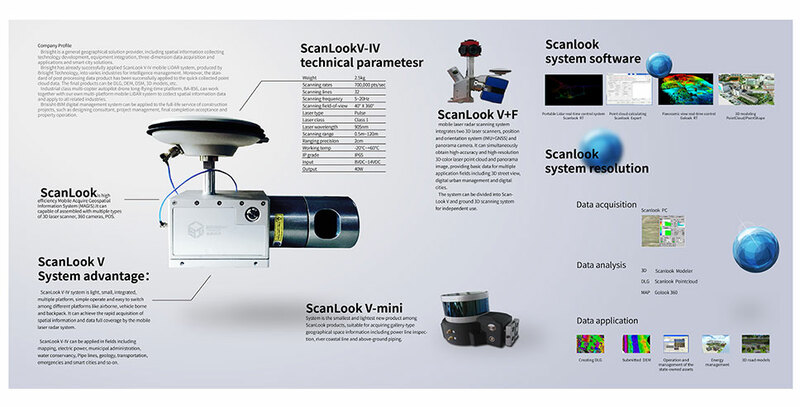 Utilizing ScanLook V series LiDAR system can obtain high-accuracy 3D point cloud data of the inspection area. Through analysis and comparison, it can realize geographical disaster alarming to accurately measure the scope and volume of the landslide after occurrence. 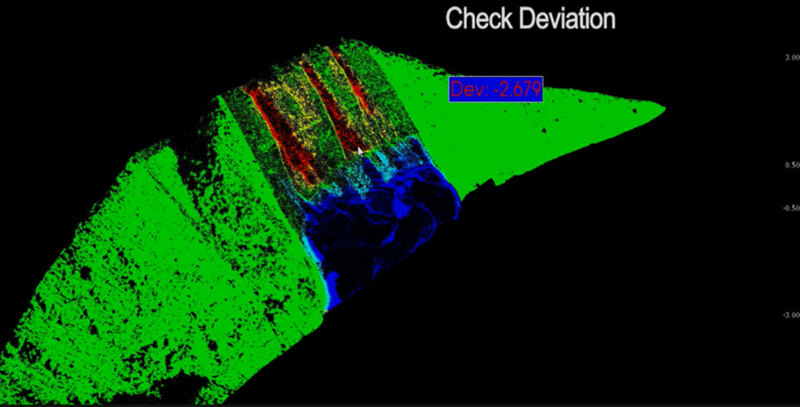 Compare and analyze the LiDAR point cloud data in high-accuracy 3D information obtained by ScanLook V series LiDAR system before and after the occurrence of geographical disaster. 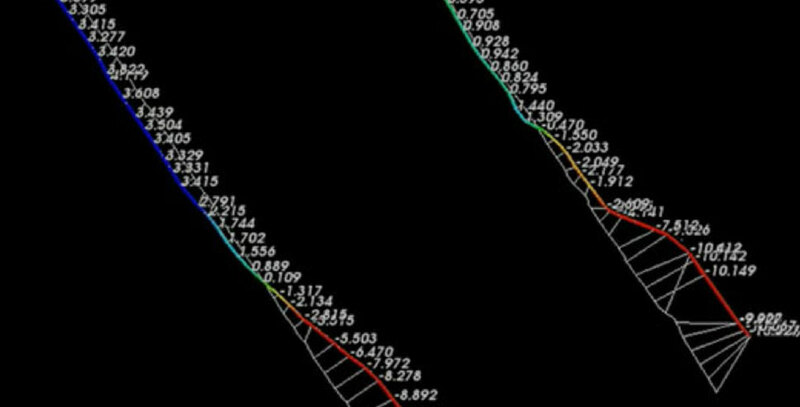 It can calculate the area, scope and volume of the landslide.